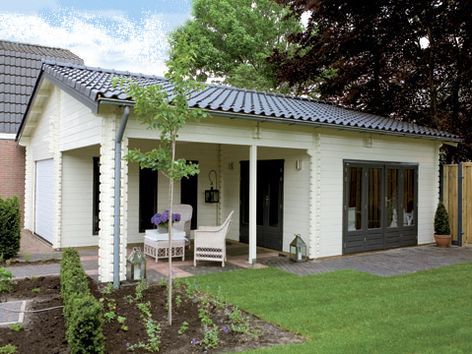 A superb pine garage with built in cabin room and canopy. The Lugarde Miami caters for every use you could think of - let your imagination run wild! 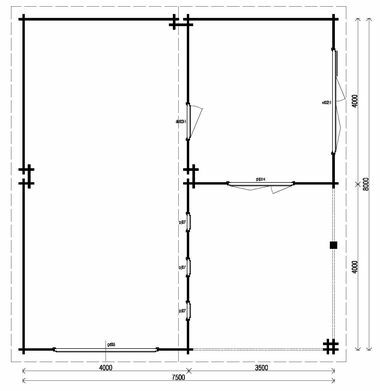 Size 7.7m x 8m in 44mm log thickness.The standard package includes 1 sectional door GD03, 3 x windows PJ07, 1 x folding door DL01H and 1 x folding door VL02H, and 1 x solid panelled door DD03. The built in canopy measures 3.5 x 4m. Includes the internal wall as per the drawing.